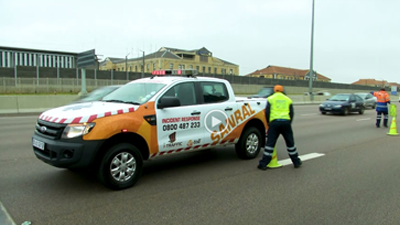 Click on the screen shot below to see the video released by SANRAL in line with its new Horizon 2030 strategy. SANRAL has announced the development of a new, long-term strategy which articulates its vision and the necessary strategic and tactical interventions needed to deliver on its objectives. Dubbed ‘Horizon 2030’ it has been approved by the SANRAL Board for consultation and will now be presented to various stakeholders including communities, industry bodies, strategic partners and labour throughout the country. “Our aim is to ensure the national road network creates economic value for the entire nation and supports the growth of an inclusive economy,” says Skhumbuzo Macozoma, the CEO of the South African National Roads Agency (SOC) Ltd, adding that the more than 22 000km of roads managed by SANRAL are a critical public asset with an estimated net asset value of R251.6-billion. “We are confident that we are building a better South Africa through delivering better roads,” says Macozoma. “This has been embedded in our new vision “to provide a national road transport system that delivers a better South Africa for all. In 2018 SANRAL will start its third decade as the custodian of the national road network. According to a statement issued by SANRAL, the new strategy takes into account the priorities of the National Development Plan and government’s strategic objective to build a more inclusive economy. Commenting on the new strategy, Minister of Transport, Joe Maswanganyi says in the statement that through Horizon 2030, SANRAL wants to highlight the role that the national road network can play in contributing to the aims of the National Development Plan to reduce inequality, support employment and eliminate poverty by the end of the next decade. “We want to demonstrate how state-owned entities such as SANRAL are assets to the South African economy, can add significant value and be relevant to the lives of all South Africans,” he says. SANRAL as outlined in the strategy will play its role in the provision of both safe road infrastructure and technology and promote road safety education and awareness. The strategy calls for a number of key deliverables that include the development of Roads 2030 long term plan, public transport enablement, an enhanced role in terms of community development, equitable access to economic opportunities and an integrated funding model. Macozoma says consultation on the content of the strategy should contribute to a more informed public debate on future funding policy for road infrastructure. Roads have to compete for funds from the fiscus with other socio-economic priorities and it is of critical importance to find a workable funding strategy. “Horizon 2030 is SANRAL’s pro-active response to the changing dynamics across various sectors of the economy and society. In addition, it will ensure that communities across the country share the benefits of a well-managed road network that supports the growth of a transformed economy that contributes to job creation and empowerment,” concluded Maswanganyi.